Listen to Hall & Oates on amazon itunes music store. 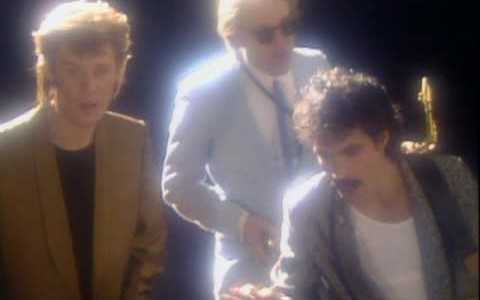 “I Can't Go for That (No Can Do)” is a song by an American duo Daryl Hall and John Oates. It was written by the duo and co-written by Sara Allen. This was their second single from their tenth studio album Private Eyes released in 1981. According to BMI, the song is one of the 14 Hall and Oates songs that have been played on the radio for over one million times. The song was the second hit single from the album Private Eyes, and it also became the fourth number one hit single of their career on the Billboard Hot 100. This duo is one of the best-selling duos of all time. They have had six number one tracks on the American charts and 16 top ten singles. Hall and Oates are from Philadelphia, and they met while attending Temple University and they were in different bands when they met. The song “I Can't Go for That (No Can Do) is a phrase that Daryl used at a time when he was pressured to go along with the crowd while performing against his wishes. The song was improvised by the sound engineer Neil Kernon who heard Hall playing a bass line on a Korgorgan and he recorded the result. In an interview, Hall said that it was a good thing that he recorded because he is the kind of guy who comes up with an idea and completely forgets. The song according to John Oates has a deeper meaning in the lyrics. Many listeners assume the song lyrics are about relationships but in reality, the song is about the music industry. It is about not being pushed by music labels and being told what to do but being true to yourself creatively. The song has more than 25 million views on YouTube and still going.